Most Mongolian beef recipes call for flank steak, which is a tasty yet cheap cut of beef. I used skirt steak, which is very similar to flank and is interchangeable in my opinion. Flank steak is probably a little more tender, so by all means use that instead. Add the cooked flank steak and toss in the sauce until all the beef is well-coated. Cook for another 30 seconds, until the steak is heated through. All of the sauce should be clinging to the beef. If you find the sauce is a little thick, add more broth or water, 1 tablespoon at a time, to adjust the consistency of the sauce to your liking. 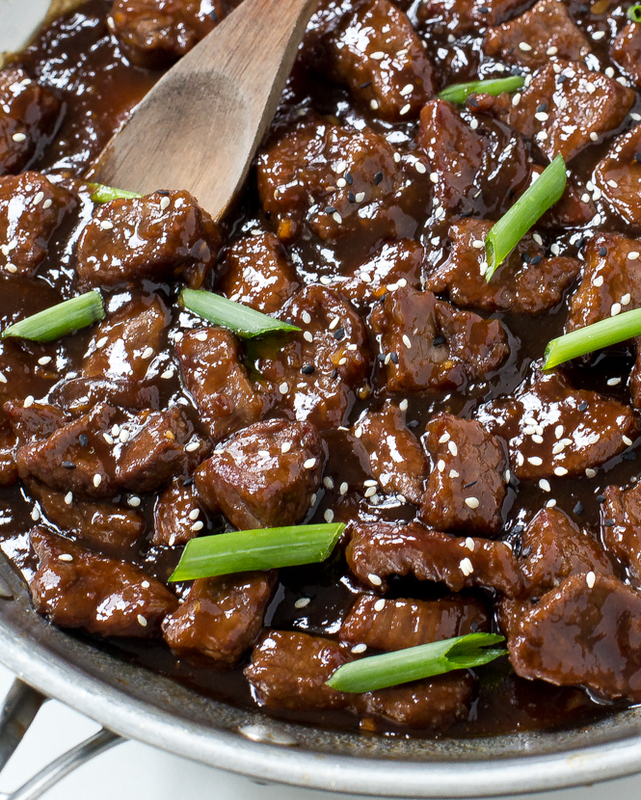 How Do You Make Mongolian Beef? First let’s talk about the beef. 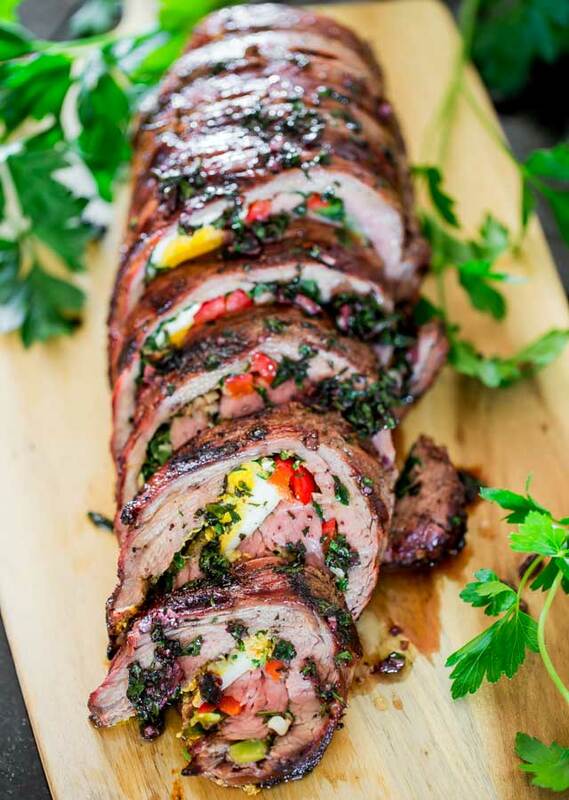 This recipe calls for thinly sliced flank steak. Steak can be kind of tricky to slice sometimes, so what I do is put my piece of meat in the freezer for about 30 minutes before I start slicing it.